The scholarship essay is your opportunity to win big money for college. Tuitions are only going up, so if you’ve got the grades to back up your scholarship application the scholarship essay can help seal the deal. Formatting, constructing an outline, coming up with a topic, and putting it all together are all a part of the process. 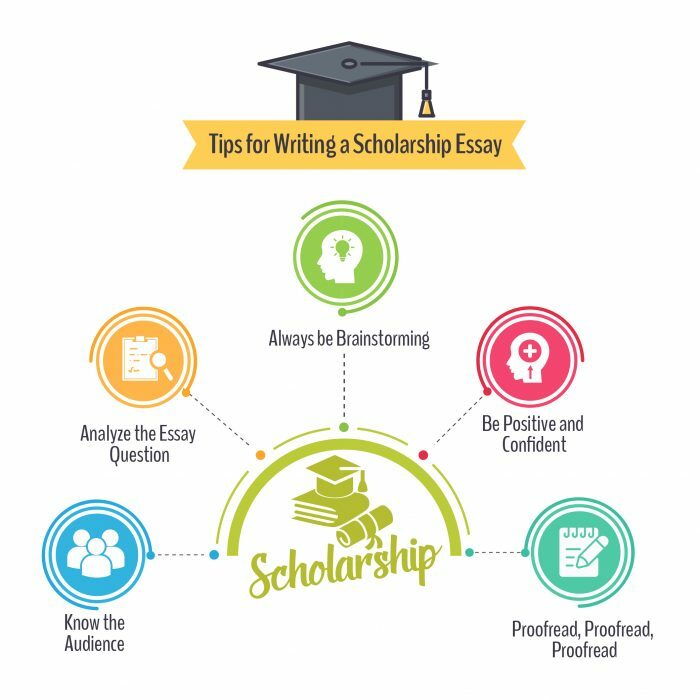 As NBA All-Star Joel Embiid loves to say, “Trust the process!” This article will give you some helpful tips on how to write a scholarship essay so that you yourself can get the process rolling. Let’s get started! What is a scholarship essay? The scholarship essay is a short essay you write to showcase your skills, thoughts, and uniqueness. It is a chance to demonstrate to the essay reviewers what makes you special and deserving of a scholarship. Just like athletes are awarded scholarships for demonstrating great feats on the playing field, academic scholarships are awarded to students who demonstrate superior abilities in their studies and academic output. The scholarship essay should not, however, be a laundry list of your achievements and accomplishments in school. Instead, it should have a specific focus—something personal or something that addresses an issue that you feel is important and relevant to what you want to do at college. Usually, reviewers will pose a question or a prompt to which the applicant must respond. In these cases, the scholarship essay should form a thesis statement that answers the question or relates to the prompt. The rest of the essay should support the thesis and a conclusion should wrap it up with a re-statement of the main idea in new words. It should be approximately 2-3 pages in length. In terms of structure, stick with the same structure as the basic short essay: 5 paragraphs—one introductory paragraph that provides a hook, background info, and thesis statement; three supporting body paragraphs; and one concluding paragraph. Keep in mind the 5 paragraph structure does not have to be strictly adhered to. The most important point to remember is that every time you introduce a new idea, you need to start a new paragraph! Make the very first line of your essay interesting. Use it to make a bold claim or to introduce a fact or idea that will rope in the reader and connect to your thesis. Give a few sentences to fill in the background of your topic. Use this area of the introduction to create a bridge between your hook (the opening line) and your thesis (the closing line in which you identify your main point). This is where you state your main point. Identify what you will do in your essay and include a few words that relate to the how or why. Follow the topic sentence with supporting sentences that explain the topic. Conclude with a sentence that segues into the next topic. Create a new topic sentence. Follow the topic sentence with more supporting sentences just like with the first body paragraph. Conclude with a sentence that introduces the idea of the next paragraph. This paragraph should be the strongest. It is the last chance you have to justify your main idea. Close it out with a really good point that will leave your reader impressed. Summarize your main idea and supporting points using new words. Give a final thought that will show you’ve done some serious reflection on the topic. Organizations love to hear about how applicants have stepped forward as leaders. If you have some experience acting as a leader in your school, in your church, in your community, or on your team—write about it. Make this the main idea of your essay and show how your leadership skills enable you to be scholarship material. Nothing says perseverance like rising up against the odds. LeBron James and the Cleveland Cavaliers did it after being down 3-1 to the Golden State Warriors. Think about times when you’ve done something similar in your own life. Everyone has dreams: usually they focus on getting rich, landing a great career, or becoming famous. Here’s your chance to share a dream that isn’t so self-centered. Show the scholarship committee that what you dream about is making a difference in the world. Think of a way you plan to make the world a better place—whether it is by supporting local artists or by entering into politics and advocating for a positive change. Tell about your dream and how you plan to implement it in real life. Understanding who you are and how you got that way is one thing that can compel the scholarship committee to think of you when it comes time to forking out the dough. Tell about yourself, how you’ve grown as a person, and what caused you to be the person you’ve become. Make it original, thought-provoking and honest. Don’t be afraid to include some of the warts—but show that you’ve got what it takes to turn those warts into badges of honor. Character formation is a fine art. If you have spent time engaging in this art, develop a main idea that focuses on how you developed your character over time. Show what your goal is and why you think character formation is so important in today’s day and age. Everyone has a driving idea and most people have values that they try to reflect in life. What are your ideas and values and where do they come from? Why do you hold them? How do they impact your life? Whether its Donald J. Trump or Stephen Curry, pick somebody who is larger than life and tell why you admire this person. Then describe the manner in which this admiration impacts your life and what you want to do with your future. Inspiration is truly a unique phenomenon. Everyone is inspired by different things. For some, it’s a work of art—a sculpture by Michelangelo, a piece of music by Brahms, a film by Fellini, or a novel by Conrad. For others, it’s the thought of doing something big—of being part of a movement, of making a lasting impact on the world. Think about what inspires you and why, and connect this with your plans for your academic career. There are a lot of problems in the world—from poverty to crime to human trafficking, war, and corruption—but there are also a lot of opportunities for people to address them. What’s your plan or goal in this regard? Identify an issue that you want to solve and show how this scholarship will help you do that. If you’ve put in the work, describe this experience for the committee and show that you’re someone who likes to get involved and bring things to completion. Is it religion? Philosophy? Politics? Sports? Family? Describe your worldview and how it came about. Demonstrate the ability to be reflective and introspective. If you want an organization to give you money to go to school, you should at least have a plan for how you intend to put your education to use in the real world. Want to be a CEO? Want to work for a non-profit? Want to be an educator? Discuss it here. The organization offering the scholarship is sure to have some sort of vision, some set of values, some sort of mission, and some sort of preference for the type of student it wants to reward with a scholarship. Do a little reading about the organization offering the scholarship so that you can know your audience. Identify ways that you, your experience, your values and your ideals align with those of the organization. This will help guide your writing. If the scholarship essay is meant to answer a question or respond to a prompt, examine the question/prompt carefully. What is being asked? Are there multiple parts to the question or prompt? If so, be sure you can also all parts. Prepare a thoughtful, well-formed outline in which you can identify your main points. Be sure your supporting points are actually effective in helping to convey your main idea. One of the biggest mistakes that novice writers make is that they think good ideas will come to them just because they sit down at the computer. Unless you’re proficient at tapping into your creative juices, this is the quickest way to failure. It’s far better to simply stay recollected over the course of a day or week and allow ideas to ebb and flow as you reflect on the essay question you’ll be answering. Allow yourself time to be properly inspired. The best ideas often come when we least expect them—so be patient and be mindful. Whether you’re at work, at school, at play, or at rest—reserve a little part of yourself for brainstorming so that when lightning strikes you’re ready to catch it and put it in a bottle. In most cases, your scholarship essay will say something about you as a person. So be positive and confident in your writing and in the way you depict yourself. This is not the time or place for humility. People want to reward individuals who are assertive and who give the impression that they will put the scholarship to good use. They want to see an essay that shows determination, character, awareness, and an individual who is self-actualized. Be mindful of how you come across in your writing. You don’t want to appear needy, callous, self-centered, or unmotivated. You want your words to ring out like crystal, announcing the kind of confidence and ability needed to succeed. This is the biggest and most important tip of all: go back again and again to check for spelling and grammatical mistakes. Nothing takes a reader out of an essay like a spelling mistake or a simple grammatical error. If you as the writer don’t take the time to go back over what you’ve written and read it carefully, why should your audience feel bothered to take the time? Carelessness with grammar is a sign to your reader that you don’t really care about what you’ve written. And if you don’t care about what you’ve written, why should the organization think you’ll care enough to put their scholarship to good use? Don’t give this impression. Patiently proofread and make sure your essay is error-free. The individual who has had the biggest impact on me in my life is my grandmother. She died two years ago, but she lived plenty of life—and every weekend for one year leading up to her death I would go to her house to hear stories about her life. I feel like I matured decades just listening to the details of her life story, all she experienced, what she went through, and what wisdom she had to offer me. I never realized that someone so old could still be so sharp and have so much common sense to give. I also realized that although it’s called common sense, it isn’t really all that common—after all, I lacked a lot of it and my grandmother always ended one of our visits with a little advice: simple things like, “Be nice to your sister,” or, “Listen to your father,” or, “Tell your mother you love her”—things that you often hear but never really take to heart because the manner in which they are told you fails to really hit the mark. My grandmother never failed to hit the mark: every single one of her stories was told with such deep feeling and empathy that I couldn’t help but open myself up to the experience and let myself be touched by what my grandmother was saying. My grandmother died at the ripe old age of 92—but she left me with advice that I’m sure will age like fine wine and mean more and more to me as the years go by. My grandmother’s story began on a farm outside the city. She grew up in what amounted to a stone cabin. Her father was a farmer and slaughtered pigs for a living and grew flowers and plants for the marketplace, too. She learned the meaning of frugal living. She grew up without television, without furnaces, without air conditioners, without iPhones. She grew up in a world where hard work, ethics, values and virtues were not only cherished but needed: one could not expect to survive without them. From the way she described her childhood, her brothers and sisters fighting illnesses, her work on the pig farm, her father’s devotion to duty, and the humble lifestyle that was theirs in the early 20th century, I would go home and think about my own life, the world I had inherited, the things I so often took for granted—the creature comforts, the grocery stores, the cars, the communications, the Internet, the ability to have just about any desire satisfied nearly instantaneously. I thought about all this and wondered if I had the same work ethic and drive that my grandmother and her family had been required to have when she was young. The more I listened to the tales of her life the more I reflected on my own. This is something Jung Chang does in Wild Swans—the sweeping epic in which she recounts three generations of womanhood in 20th century China. Reflecting on the past helped to put the present in perspective for Chang, and the same was proving true for me. I realized that some of the devotion to duty and hard work of my grandmother’s family had actually taken root in my personality, too. After all, I was committed to getting good grades in school, to succeeding at work, and to making my family proud of me. But was there more that I was missing? Was there something I was not paying attention? Slowly I realized that, yes, there was. My world was still self-centered. Instead of making my parents proud, I wanted them to be proud of me. Instead of looking for ways I could improve my school and community, I had been looking for ways my school and community could benefit me. My grandmother’s stories taught me about sacrifice, honor, doing things for others because that was what needed to be done. There was no mention of reward, no discussion of “what’s in it for me,” no sense of entitlement. My grandmother lived a long life—and she constantly put other people and their concerns before her own. This was the secret to her longevity, the special character of her personality that enabled her to be so spectacular even at age 90. From my grandmother I learned that in order to be something special, you don’t have to be the next Steve Jobs or the next Elon Musk. You just have to be yourself—the best version of yourself that you can possibly be. My grandmother taught me to always strive to do the right thing, to do right by others, and to be aware of others and how I could help ease their burden instead of constantly thinking about my own. Because of my grandmother, I want to continue my education in the field of management so that I can obtain a good job and provide for my family. I want to dedicate myself to the duty of supporting my family, of building the community, and of making the world a better place simply be doing what’s right—by being nice to others, by showing empathy and compassion, and by putting the needs of others first. If I can accomplish these goals in my personal and professional life, I know I will make my grandmother proud. The scholarship essay is your opportunity to create something personal, meaningful, and eloquent—something that describes your values and your ideals—something that will make an organization say, “Yes, this person’s got it!” Writing the scholarship essay does not have to be a traumatic experience, however. Let our writers help! 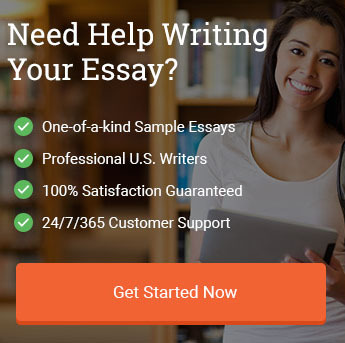 They’re trained and practiced in the craft of writing essays and they can supply you with a 100% uniquely customized model scholarship essay. If you need help lighting the spark that will get you the goods for going to college, don’t hesitate to place an order today. "How to Write a Scholarship Essay (2019 Guide)." Aceyourpaper.com. Student Network Resources Inc, 6 June. 2018. Web. 18 April 2019. Student Network Resources Inc. "How to Write a Scholarship Essay (2019 Guide)." Aceyourpaper.com. https://www.aceyourpaper.com/essay-writing/scholarship-essay/ (accessed April 18, 2019).